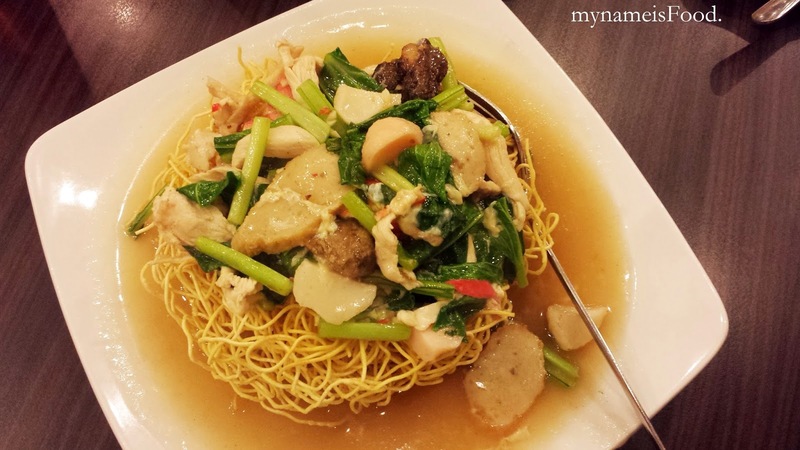 Wok Noodle, 3rd Floor, Ciputra Mall, Surabaya, Indonesia - my name is Food. 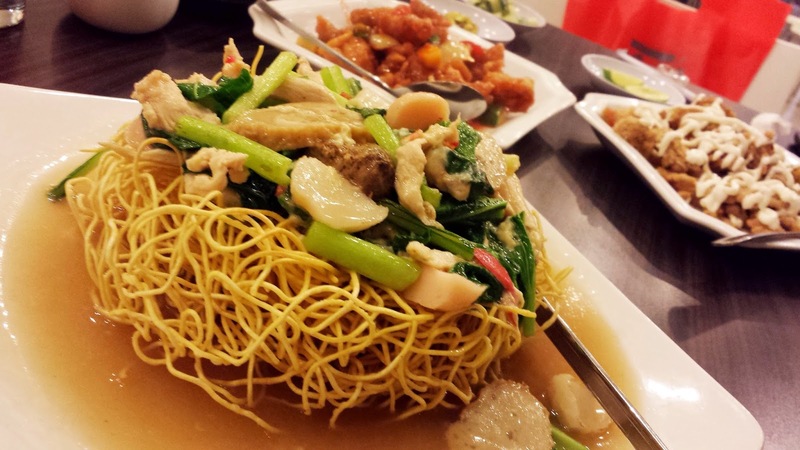 Wok Noodle is just one of the many Chinese restaurants on the 3rd floor of Ciputra Mall in Surabaya. 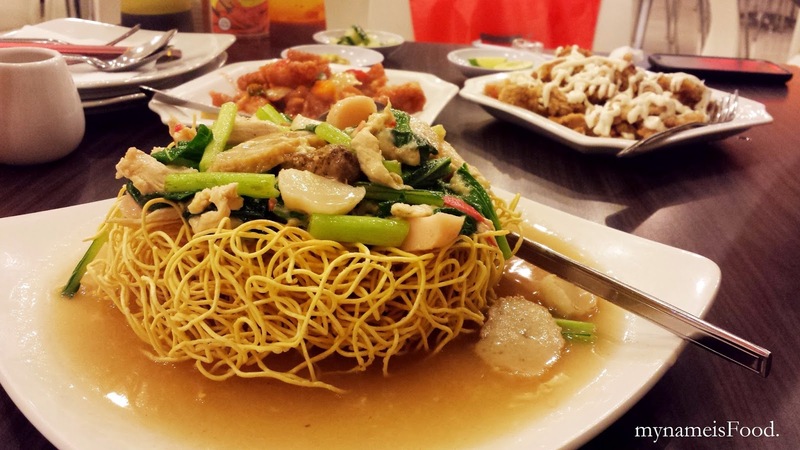 Although it may not be one of the famous or popular restaurants, it does offer a wide range of Chinese dishes from the basic traditional dishes to the Chinese Indonesian fusion dishes..
First up was the classic 'Chow Mein' which is combination seafood & meat on crispy egg noodle.. Portion was quite big and presentation was nice.. Amount of seafood and meat in the dish sufficed and was enough and was quite filling.. However, the big plate did kind of made it a bit messy when trying to break the noodles and mixing it all together.. The sauce maybe was not enough to make most of the noodles soggy, so some of the noodles ended up just staying crispy..
'Sweet Sour Pork' was what I remembered this was, thought the name was probably different.. 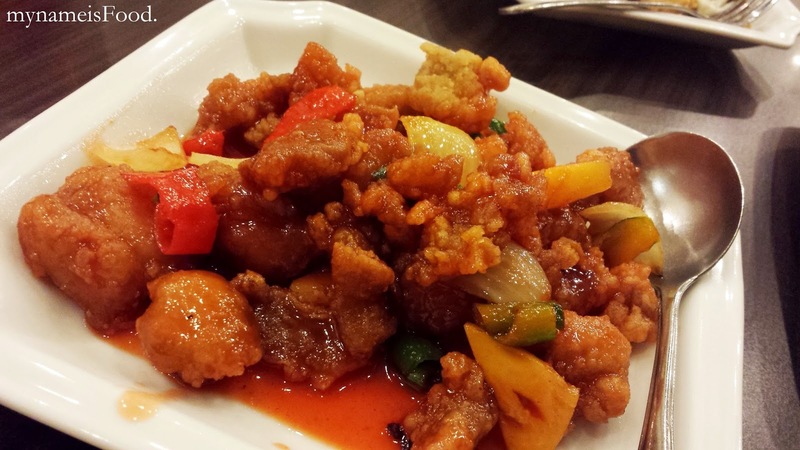 It was different than the typical Korean Sweet and Sour Pork which would have just pineapples mostly and capsicum, fried chicken drenched in the sauce.. 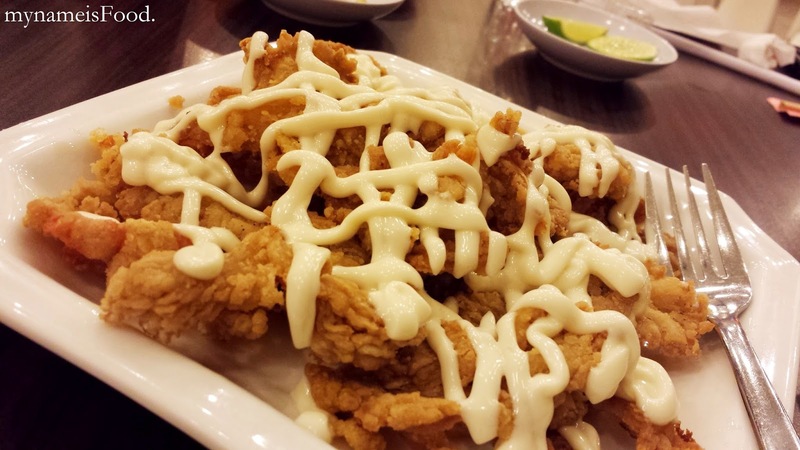 Though this may not have been one of the best dishes out of the three as the chicken was crunchy but since it was soaked by the sauce, it became quite soggy.. 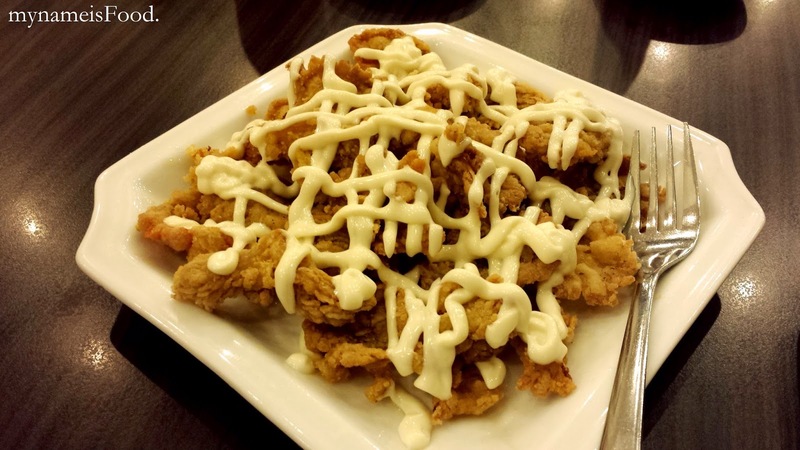 Vegetables were assorted and not limited and portion was not as much, just general I guess..
Fried mushrooms with mayo, a side dish or maybe a main dish.. When I saw it, I just knew I had to order it, not too sure why actually.. However, these were enoki mushrooms battered which kind of reminded of me of KFC batter, but thinner.. 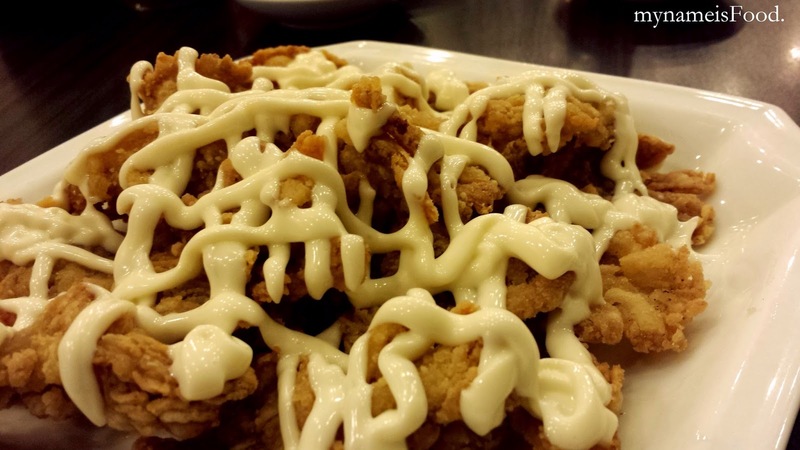 The mayonnaise was different than the typical Japanese or Korean mayonnaise. This was a nice addition to our meals, both as a main and side dish.. The mushrooms were quite cute and portion was reasonable for price.